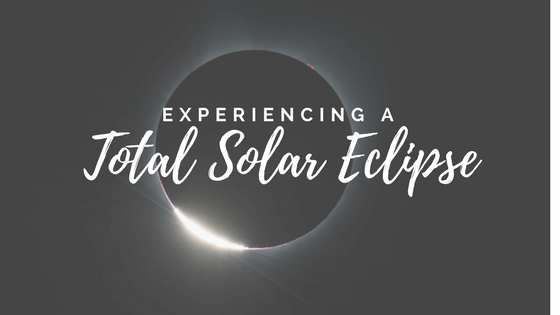 Clearly there was something special about seeing the total eclipse so I followed my own oft-repeated advice to spend money on experiences, not things, and booked a trip. Since I'd be bringing along my wife and two kids, I settled on a small beach town outside Charleston called Isle of Palms where we could watch the eclipse on the beach. Unfortunately I forgot to factor in the weather when deciding on this location. The Charleston area in August is hot and humid with near daily afternoon thunderstorms. Totality would occur at 2:46pm ET, prime time for afternoon showers. When all it takes is one cloud crossing in front of the sun at the wrong time to ruin your experience, this isn't the kind of forecast you want to hear. So I started watching the weather forecasts like a hawk, constantly checking and rechecking. I'll draw a parallel to finances here, as my fears about the weather and checking forecasts of the future closely resembles the way many people treat investing. We like to think we can predict the future, or that someone else can predict the future, even though we know it is impossible. Just as I checked and rechecked accuweather for the latest forecast for August 21st, many people check and recheck their portfolio to see if the value is up or down. We watch financial news shows or read the Wall Street Journal hoping to find that accurate prediction of where the markets are going or what stock we should buy or sell today. As I found out with the eclipse, all that worrying and stressing about the weather will not change the future. The weather will do what it wants, just as the financial markets will do what they want. You might not be able to control the future but you can plan for it. So we came up with our own plan - if we woke up on August 21st and it looked like a total washout, we'd drive northwest and try to catch the Eclipse from somewhere else. This is why you have a financial plan in place and rules for how to follow that plan. If the stock market crashes what will you do? Hopefully you have a diversified portfolio in place that matches your risk tolerance and return requirements of your portfolio so you are able to stick it out through a downturn. On August 21 we woke up to lots of clouds but no rain so we decided to take our chances staying put. This is when the stress and worrying really reached a peak. We spent the day staring at the clouds and wondering if they'd clear enough for us to see anything, just as someone approaching retirement spends more time worrying about the value of their portfolio. If the clouds move just a bit, will we still be able to see the sun? If the value of my portfolio drops can I still retire? We can't control what happens so why do we spend so much time stressing about it? It's a question I don't have an answer for because I don't know that we can help ourselves. It's human nature to worry. But you can hire someone to keep you from doing something you shouldn't as a result of your worrying. That's exactly what we do for our clients - we can't control the markets (or weather) for you, but we can help you develop a plan and stick to that plan. I can't really describe the feeling at the moment of totality, when the sun is completely blocked. That moment when you can take off the silly glasses and stare at something so much bigger than you. Something that seems hard to fathom from our little spot on this earth. You get goosebumps and lose your breath a little. You try to take a picture but it doesn't come close to capturing what you see. So you stop and just stare. The world seems to stand still. You want it to last forever. But then it's over. Our 4 year old thought it was amazing. We had been reading eclipse books for the weeks leading up to our trip and his knowledge of our universe has expanded tenfold, even though I doubt he'll remember this when he's older. Our 15 year old was of course skeptical and more interested in playing Pokemon Go all day, but even he couldn't help but admit it was a pretty awesome sight. And my wife, who was happy to be at the beach but didn't see why the eclipse was such a big deal, admitted I was right, which is something almost as rare as a total eclipse. The next total eclipse to hit the United States is on April 8, 2024. I suggest you start making plans now. If you can't wait that long, you could head to Argentina in July 2019. Trust me, it will be worth it. Here's my view as totality hits.